The Indulge relaxation facial is the ultimate stress buster that is customized with the best Guinot products for your skin type and needs. With increased treatments and proper home maintenance, your skin will have improved results within four weeks. This treatment is very relaxing and helps reconnect you to your inner being. It’s a nice time for quietness and allows the skincare therapist to focus entirely on you and your skin’s special needs. A relaxation facial begins with a thorough cleansing and skin analysis, followed by the extraction of blackheads or whiteheads if required and massage techniques to manipulate the muscles and facial tissue. Serums and a mask targeted to your skin type are also applied. Facials are ideal anyone who enjoys being pampered and is interested in establishing a monthly skincare maintenance routine. 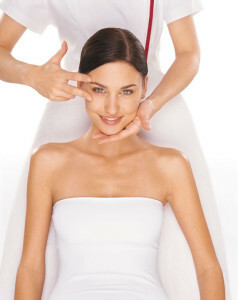 Any facial like the relaxation facial, can be scheduled between Guinot treatments that are more intensive.